A versatile recitalist, orchestra soloist and chamber musician, JON KLIBONOFF has performed extensively throughout the U.S. and abroad. 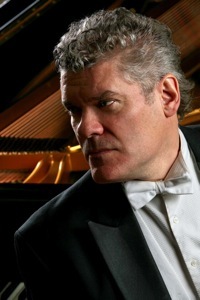 His various honors include first prizes in the Kosciuszko Chopin Competition and the silver medal in the 1984 Gina Bachauer International Piano Competition. 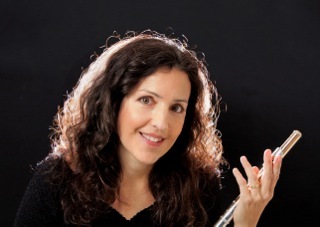 Klibonoff has appeared as soloiswith the Utah, Baltimore, Richmond, Denver, New Orleans, Oakland, Syracuse, and North Carolina symphonies, as well as the Buffalo Philharmonic and the Denver Chamber Orchestra. 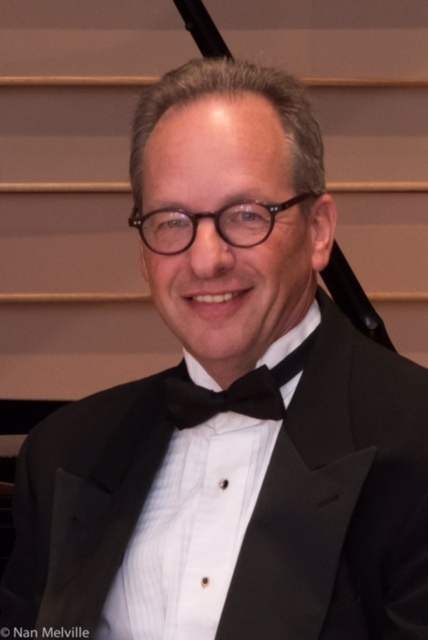 Mr. Klibonoff is a past recipient of a NEA solo recitalist's grant and has been sponsored by the Pro Musicis Foundation in recital throughout the world. A founding member of the acclaimed ensemble, Trio Solisti, he has performed in major venues such as Lincoln Center, the Kennedy Center, and at numerous colleges and universities throughout the United States. He has performed with the Shanghai, Miami and Lark Quartets as well as with members of the Emerson and Toyko String Quartets. Mr. Klibonoff is a also a principal member of Associated Solo Artists, an organization that performs concerts, educational programs and corporate events. He holds degrees from the Manhattan School of Music and from The Juilliard School and is on the faculties of the Manhattan School of Music and Concordia Conservatory of Music. WILLIAM WOLFRAM was a silver medalist at both the William Kapell and the Naumburg International Piano Competitions and a bronze medalist at the Tchaikovsky Piano Competition in Moscow. A versatile recitalist, concerto soloist and chamber musician, he has won the respect of musicians and critics across the country and abroad. Wolfram has several recordings on the Naxos label, has played recitals in cities throughout the U.S., Asia and Europe and has performed with dozens of the finest orchestras in the world. His concerto debut with the Pittsburgh Symphony under the baton of Leonard Slatkin was the first in a long succession of appearances and career relationships with numerous American conductors and orchestras. He has appeared with the San Francisco, St. Louis, Indianapolis, Seattle and New Jersey symphonies, the Buffalo Philharmonic, the National Symphony, the Florida Orchestra and the Grand Teton and Obispo Mozart festival orchestras, among many others. He enjoys regular and ongoing close associations with the Dallas Symphony, the Milwaukee Symphony and the Minnesota Orchestra. Conductors with whom he has worked include Jerzy Semkow, Joseph Silverstein, Mark Wigglesworth, Jeffrey Tate, Vladimir Spivakov, Gerard Schwarz, Carlos Miguel Prieto, Jeffrey Kahane, James Judd, Roberto Minczuk, Stefan Sanderling, JoAnn Falletta, James Paul and Carlos Kalmar. Abroad, Wolfram has appeared with the Royal Scottish National Orchestra, the Warsaw, Moscow and Budapest philharmonics, the Capetown and Johannesburg symphonies of South Africa, L'Orchestre de Bretagne, the orchestras of Thailand and Singapore and the National Symphony of Peru. An enthusiastic supporter of new music, he has collaborated with and performed music by composers such as Aaron Jay Kernis, Kenneth Frazelle, Marc Andre Dalbavie, Kenji Bunch and Paul Chihara. His world premiere performance of the Chihara re-orchestration of Chopin's Piano Concerto No. 1, with the Milwaukee Symphony under the baton of Andreas Delfs, was met with great critical attention and acclaim. Wolfram has extensive experience in the recording studio. For the Albany label, he recorded the piano concertos of Edward Collins with Marin Alsop and the Royal Scottish National Orchestra. Wolfram has recorded, and continues to record, the solo piano music of Franz Liszt for Naxos records. These recordings include Liszt's rarely heard Etudes en douze exercices, as well as opera transcriptions of both Donizetti and Bellini. Wolfram was the focus of a full chapter in Joseph Horowitz's book, The Ivory Trade: Music and the Business of Music at the Van Cliburn International Piano Competition. On television, he was a featured pianist in the documentary of the 1986 Tchaikovsky International Piano Competition. A graduate of The Juilliard School, William Wolfram resides in New York City. 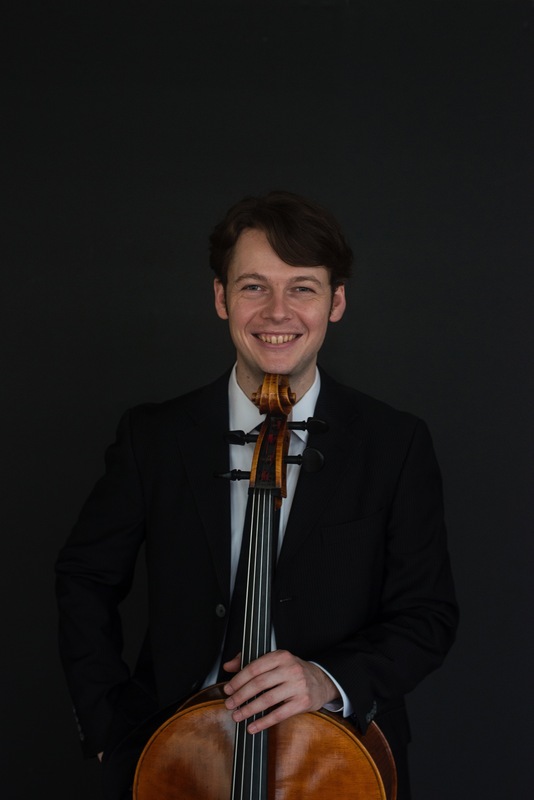 Romanian-born cellist MIHAI MARICA won First Prize at the “Dr. Luis Sigall” International Competition in Viña del Mar, Chile and also won First Prize at the Irving M. Klein International Competition. He is also the recipient of Charlotte White’s Salon de Virtuosi Fellowship Grant. He has performed with orchestras such as the Symphony Orchestra of Chile, Xalapa Symphony in Mexico, the Hermitage State Orchestra of St. Petersburg in Russia, the Jardins Musicaux Festival Orchestra in Switzerland, the Louisville Orchestra, and the Santa Cruz Symphony in the US. He also appeared in recital performances in Austria, Hungary, Germany, Spain, Holland, South Korea, Japan, Chile, the United States, and Canada. A dedicated chamber musician, he has appeared at the Chamber Music Northwest, Norfolk, and Aspen music festivals among others, where he has collaborated with such artists as Ani Kavafian, Ida Kavafian, David Shifrin, André Watts and Edgar Meyer. Mihai is an original member of the award-winning Amphion String Quartet, whose debut album was recently named one of the best classical music recordings of 2015 by the New York Times. Mr. Marica studied with Gabriela Todor in his native Romania and with Aldo Parisot at the Yale School of Music where he was awarded the Master of Music and Artist Diploma degrees. He is a member of Chamber Music Society of Lincoln Center's CMS Two Program with the Amphion String Quartet, and a former solo member of The Chamber Music Society of Lincoln Center’s CMS Two program. Mihai continues to appear regularly with the Chamber Music Society of Lincoln Center. Violinist XIAO-DONG WANG entered the Shanghai Conservatory of Music at the age of ten. Mr. Wang was First Prize winner in the Menuhin International Violin Competition and First Prize winner in the Wieniawski-Lipinski International Violin Competition at the ages of thirteen and fifteen. He was brought to the attention of Dorothy DeLay of The Juilliard School who arranged for him to begin a four-year scholarship starting in 1986. A guest soloist of considerable experience, Mr. Wang has performed with orchestras around the world, including the Royal Philharmonic in London, the London Mozart Players, Adelaide, Perth, Queensland Symphony Orchestras, and Sydney Opera Orchestra. His recording credits include the Bartok Concerto No.2 and Szymanowski Concerto No.1 for Polygram Records. He has also appeared performing on both violin and viola in chamber music concerts at Lincoln Center, Kennedy Center, Aspen, Ravinia and in many other festival and musical events worldwide. Mr. Wang is the resident soloist of the Shanghai Symphony for the 2012-13 Season, he will appear three times as soloist with the orchestra during the season as well as presenting chamber music concerts and Master classes. 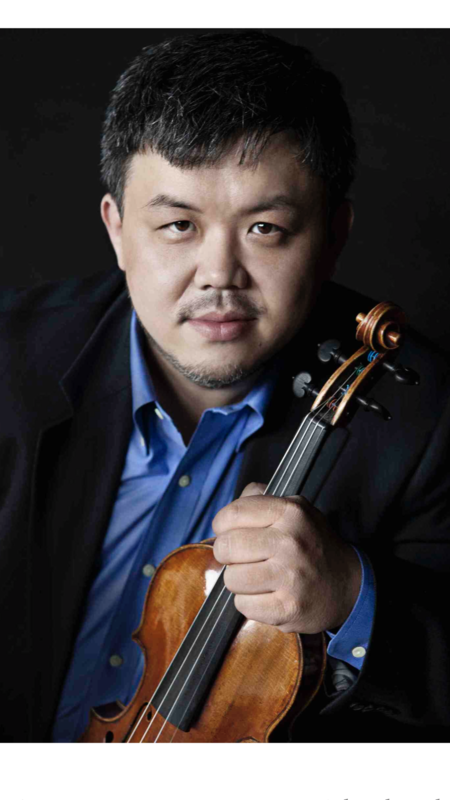 During his residency, Mr. Wang will also perform as a soloist with three other major symphony orchestras in China, including The China Philharmonic in Beijing. Mr. Wang is the artistic director and a founding member of the renowned chamber music group Concertante, where he has collaborated with world renowned musicians and made a vast number of chamber music recordings. A charismatic and versatile flutist, JANET ARMS has been a member of the New York City Opera orchestra since 1988. She has also performed and recorded with the New York Philharmonic, San Francisco Ballet, Metropolitan Opera, as guest principal flutist with the St. Louis Symphony in the US and throughout Europe, as well as with the Boston Symphony Orchestra in Boston, at Tanglewood, and on tour. She has a long-standing association with the Bard Festival Orchestra and the American Symphony Orchestra, has worked with the NYC Ballet, American Ballet Theater, New Jersey Symphony, as well as subbed on Broadway in The King and I, Finding Neverland and the Radio City Christmas Spectacular. As a faculty member of the Hartt School, Janet holds the title of Senior Artist Teacher as well as the Associate Chair of Chamber Music of Winds and Brass. She has been a faculty member of the Pacific Region International Summer Music Academy – PRISMA&nbsp; in Powell River, BC for many years and has spent several summers in Brazil, teaching and performing with the faculty of the renowned Festival Eleazar de Carvalho in Fortaleza. As an active performer in commercial recording here in NYC, Janet can be heard on a number of film documentaries for PBS. Scored by Michael Bacon, these include Jewish Americans, The Kennedy Years, and The Roosevelt Years to name a few. She made her recital debut at Carnegie Hall as a prizewinner of the Concert Artists International competition while completing her Masters degree at Juilliard. Ms. Arms’ chamber music career has included appearances with her NYC Opera colleagues at Lincoln Center, performances at the Eastern Shore Chamber Music Festival, with the Concordia Chamber Players, the New York Chamber Soloists and appearances at PRISMA where her colleagues from the Chicago Symphony, Orchestre Symphonique de Montreal, LA Philharmonic, Vancouver Symphony, and Victoria Symphony Orchestra. Her most recent chamber music project, The Pandora Duo, is a&nbsp; collaboration with guitarist and fellow Hartt faculty member Christopher Ladd. Clarinetist STEVEN D. HARTMAN is Principal Clarinet of the New York City Ballet Orchestra, the Opera Orchestra of New York, Acting Principal Clarinet of the New York City Opera and Principal Clarinet of the New York Scandia Symphony, with which he has recorded three solo works by B. H. Crusell and is performing Crusell’s Concerto, op. 5 on April 11, 2019. He is a former member of the Boehm Quintette and the Music Project Repertory Chamber Ensemble and the Mostly Mozart Festival Orchestra. He has been a regular participant in the Washington Square Music Festival. He recently performed Leonard Bernstein’s Prelude, Fugue and Riffs for Justin Peck’s new ballet, Easy, at the New York City Ballet. Born in St. Louis, Missouri, he is a graduate of New York’s Juilliard School and studied privately with Kalmen Opperman. South Korean born Mezzo-soprano MISOON GHIM graduated from the Curtis Institute of Music and The Juilliard School, received two Metropolitan Opera Education Fund awards, and was a member of the San Francisco Opera’s prestigious Merola Program. She has performed with New York City Opera, and Opera Philadelphia as Suzuki in Madama Butterfly, with the Daegu International Opera Festival as Amneris in Aïda, and with Opera Delaware as Rosina in Il barbiere di Siviglia. The New York Times praised Ghim's New York City Opera performance as "first rate," and The New York Post raved of her "dramatic sensitivity" in the role of Suzuki. As a recitalist, Ms.Ghim made her New York Weill Recital Hall Debut with pianist Amy Yang, presented by Korea Music Foundation in 2013. And most recently Rutgers University Mallery Concert Series presented her in recital with pianist Charles Abramovic in the spring of 2015. Ms. Ghim has been a regular member with the Philadelphia chamber group Dolce Suono Ensemble since 2013. As a passionate contemporary music vocal performer, Ms. Ghim world premiered Curt Cacioppo's song cycle, 6 Canti su testi di Renzo Oliva, in Haverford, New York, and Philadelphia in 2017-18 season. Ms. Ghim's all-Baroque debut album was released in the fall of 2012 by Universal Music Group Korea. In conjunction with her album's release Ms. Ghim performed as guest soloist with the Korean Chamber Orchestra under the directorship of Maestro Min Kim at the Seoul Arts Center. Ms. Ghim currently teaches as an Adjunct Professor at Saint Joseph's University, Haverford College, and Bryn Mawr College, and maintains her private voice studio in Philadelphia.